The FTC (Federal Trade Commission) has many laws regarding advertising and marketing. As you can imagine, when it comes to minors, those laws get enforced severely. In fact, every violation can result in civil penalties of up to $16,000 per incident. What’s more, the content and style of the ad id more closely scrutinized. For instance, the kind of exaggeration and “over the top” ads that are fine to show to adults are not viewed the same way when it comes to children. Depending on the age of the child, he or she may not be able to distinguish the fantasy of the advert from the reality of the product. If the ad shows a bicycle with sounds dubbed over it of a motorbike, that bicycle had better make those sounds in real life. Otherwise, the child will have been lied to by the ad. But even if advertisers follow the rules to the letter, it doesn’t stop them from finding creative, and legal, ways to bend them from time to time. There are plenty of celebrities out there on social media, and they are more than happy to push out paid tweets and Instagram posts that children will see. It may take just a few seconds to write the post (and in many cases, it’s simply given to the celebrity verbatim), but they can earn up to $75,000 for an Instagram post, and $30,000 for a tweet. While that’s a staggering sum of money, it’s peanuts compared to the cost of a TV spot, and will probably have a much bigger impact. What’s more, the posts don’t even have to be labeled as ads, which means a lot of gullible kids and teens think the celebs they adore are genuinely into that product. Kids and teens love animation. Think back to your younger days, and you’ll remember that most of your favorite shows growing up were animated. These days, it’s easier than ever to create animation digitally, and that means advertisers and brands are able to crowbar fun, friendly, and cool animated characters into their ads. From cereal and toys, to candy and clothing, if the children are the targets of the ads, cartoons and kid-friendly images will be front and center. Following on from the animation mentioned previously, some advertisers go even further and produce series or “webisodes” featuring characters connected to the brand. This series of webisodes by Lucky Charms follows the exploits of Lucky the Leprechaun. The whole series is to devised to make Lucky a hit with the kids, who then spot the character on the cereal box in the store and ask for it. And let’s not forget the series that were created specifically to sell toys, like Transformers, He-Man, and many others since. A close relation to branded content, this aims to advertise to children on a much more subconscious level. Perhaps the greatest example of this is “E.T.—The Extra-Terrestrial,” which showed the cute alien being lured into the house by a trail of Reese’s Pieces. There were boxes of Cheerios front and center in “Honey, I Shrunk the Kids,” a huge McDonald’s logo in “Richie Rich,” and cans of Pepsi in “Home Alone.” Product placement is a multi-million dollar investment for brands, and if the film is successful, it can have a huge impact on sales. While adults know what’s going on, children are not as perceptive. After the movie, they will not realize why they want a certain product; they just do. Children want what their friends what. They also want what other kids are enjoying. It’s no surprise then that so many ads aimed at children feature kids of a similar age loving the product like it was the greatest thing ever invented. From amazingly delicious junk food, to toys and games that have about ten minutes of playability. This is, of course, just par for the course in advertising. However, when adults see people just ecstatic about a product, we take it with a grain of salt. Children, they’re not as skeptical; especially children under ten years old. They see their peers just laughing it up, crazy about a toy, and they want it. The nag factor kicks in, and sure enough, that toy is unwrapped on his or her birthday. 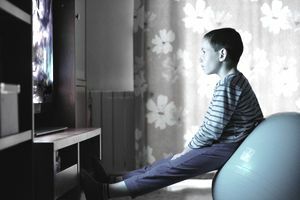 Most scholars and experts agree that children should not be targeted in ads, and that there should be stricter rules around it. Adults make the purchasing decisions, children are not armed with enough life experience to know they are being manipulated. But, for the time being, ads will still target children because they are worth billions in sales.